Solihull Churches Asylum Seekers Support Group (SCASSG) runs the Solihull Welcome a Drop-in Centre for Asylum Seekers and Refugees in St Augustine’s Church Hall, Herbert Road, on Wednesdays and Fridays 10.00am-3.00pm. A rota of volunteers mainly from Christian Churches in and around Solihull, offer refreshments, clothes, toiletries, toys, food and a friendly, listening ear to those attending the Home Office Reporting Centre in Sandford House in Homer Road. Might you be interested in helping those in our borough in housing need? Solihull Churches Action on Homelessness was set up as an ecumenical charity in the early 1990s to help young people who had nowhere to live this side of the borough. Originally setup to provide temporary accommodation, SCAH now provides relief for homeless and insecurely housed people across the borough, including grants and starter packs for people starting new tenancies. It is regarded as key partner by Solihull Metropolitan Borough Council, and is involved in the Change into Action project to direct funds to those most in need. Today SCAH is supported, both with time/skills and financially, by members of the Anglican churches in Solihull, as well as by many Christians from across the other churches. To find out more contact the Chair of SCAH, or visit SCAH online. As a chaplaincy team we visit in the majority of the shops in Solihull town centre. As well as coming with a cheery smile we visit as chaplains to support in whatever way is appropriate – to affirm people in their work, to encourage and support when necessary and also to share in the joys and difficulties of life. 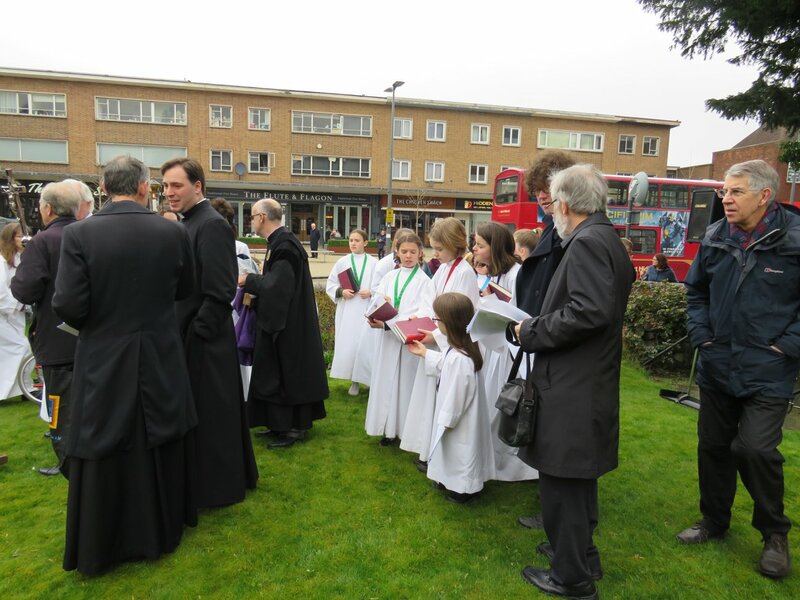 We are an ecumenical team from across the borough and available to everyone. The Town Centre Chaplaincy came into being in 2001 when the Touchwood shopping centre opened. We currently serve the shops and businesses across the centre of the town. We are a team of about ten people who come from local churches across the borough and we work in conjunction with the leaders of all the major faiths. People are important- and a huge amount of the majority of people’s lives is at work. As well as being a source of income the work place is where relationships and friendships are formed, dreams are fulfilled and at times maybe shattered; people’s lives are moulded and shaped. Work can be a very positive experience and a source of great satisfaction. Equally it can be a time of stress and anxiety, of worry and unhappiness. We visit as chaplains to support in whatever way is appropriate – to affirm people in their work, to encourage and support when necessary and also to share in the joys and difficulties of life. If we are asked, we may help people to see their life events within the bigger frameworks of faiths. If you are interested in our work, and/or want to volunteer please get in touch with us by email. Solihull Town Centre Chaplaincy is supported by Churches Together in Central Solihull which includes the majority of the main Christian denominations. All chaplains are given training and the opportunity for ongoing development. All follow appropriate Safeguarding, Health and Safety measures. We are very happy to have a conversation with anyone who would like to know more about chaplaincy or who might consider becoming a chaplain.